Trimmable 5" x 7" top and bottom blocks. Modify the length, look, and application of your Sumter Double Square Column by choosing one or more Add-Ons. 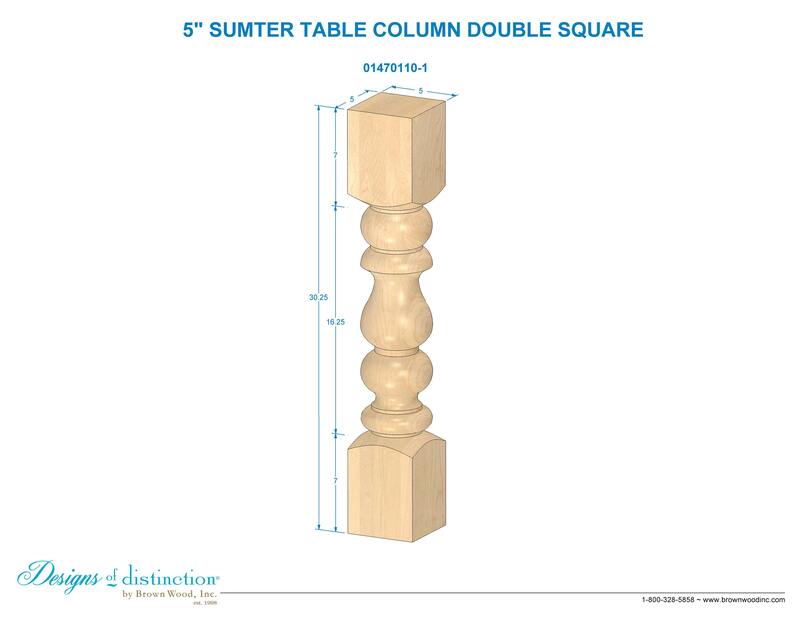 The 5″ Double Square Sumter Column is a traditional turned post that features large blocks at both ends with a traditional urn style center. Shop matching components in the Modern Farmhouse Collection.